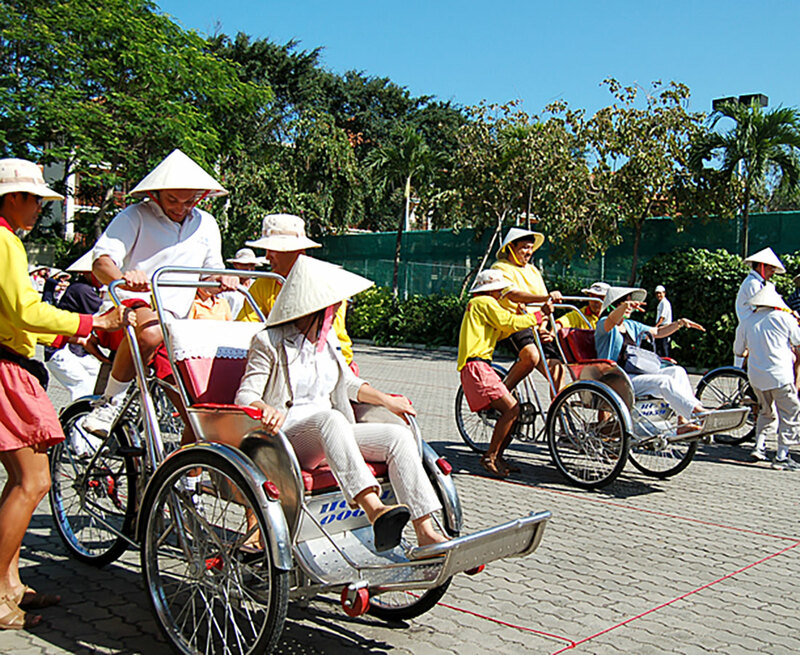 Team building events utilizing both Western and Vietnamese styles are designed by the Furama Resort Danang to increase communication, learn new strengths, gain insights within the team and have fun together outside of the workplace. The participants will feel valued and rewarded. Two members from each team take off simultaneously from a designated starting line. One seated while the other pedals madly trying at the same time to control the Cyclo. At the other end of the set track, the team will switch, shouting advice to each other as they do, and set off back to the finish line. With several people in one team, they continue rotating couples until the last Cyclos are off and the first team to cross the finish line wins. Starting from the beach directly in front of the hotel, teams will race each other around a pre-designated course in the ocean. 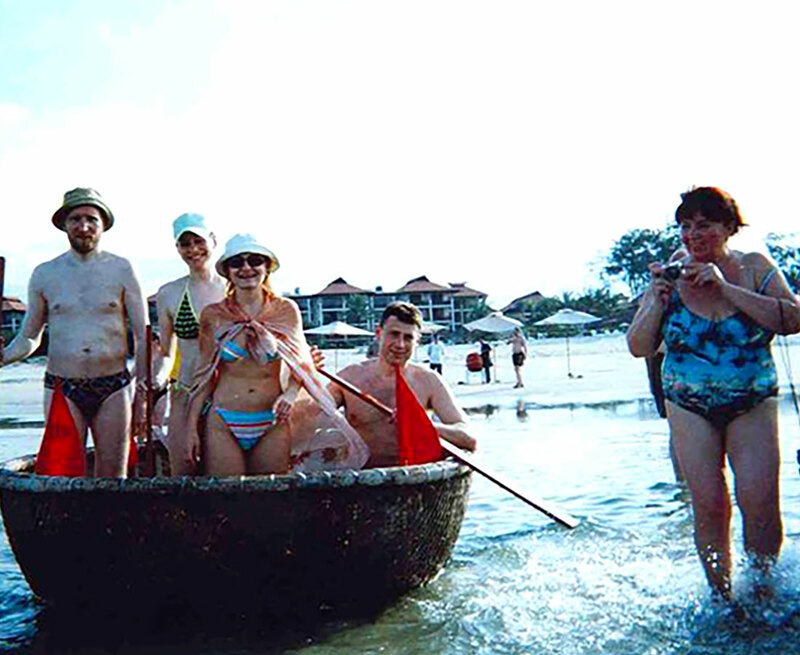 They will try to navigate the somewhat peculiar boats around buoys and be the first back to the beach. From there the next group from their team will switch with them and continue the race. The odd shape of the boat makes the race fun although still challenging. Each team member will have a chance to compete, while the rest of their team supports them from the shore. 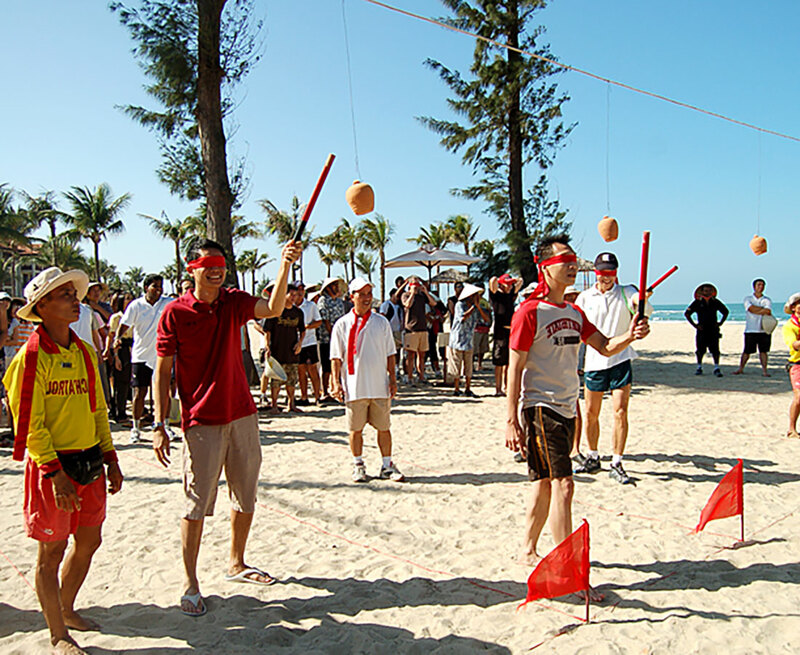 Four teams will race against each other wearing traditional Vietnamese hats while carrying two baskets filled with water balloons balanced between a bamboo stick across their shoulder. 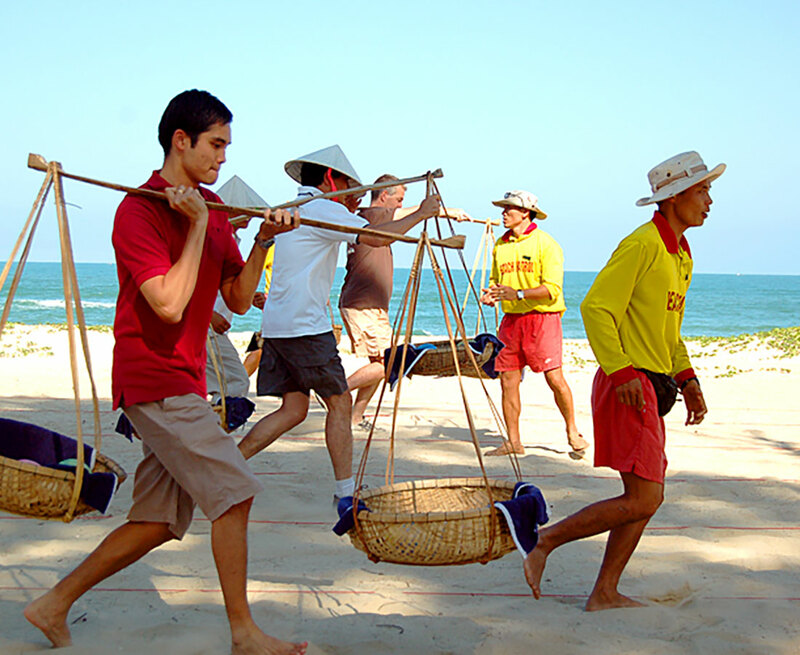 At the start, the teams will race a short distance down the beach, don the hat and balance the bamboo staff on their shoulder. They return as quickly as possible to their teammates, who are waiting to switch with them. The race continues until the last person crosses the finish line. The team who finishes first with the greatest amount of unbroken water-balloons is declared the winner. Teams line up in two long rows opposite each other. Between the long rows are small terracotta jars strung in the air. One member of each team will be blindfolded and given a wooden mallet to break the jars. The blindfolded team member relies on the commands of their teammates as they are getting closer to the jugs. Each member of the team will have a chance to break a jar and the team with the most broken jars at the end will win.